Why to Choose Sip2Dial’s Cloud call center software? Home Why to Choose Sip2Dial’s Cloud call center software? Sip2dial’s cloud call center software has given customers more prominent permeability over their call center business. Our product is generally simple to set up, has many components, and has various distinctive evaluating alternatives to get the correct usefulness you require. The IVR phone system of Sip2dial is to decide call center business more powerful with the IVR servers we give. Sip2dial has dependably been on top in this field for the nature of its items like IVR devices, IVR telephone system, Developer API and all other extensive variety of administrations. In the period of financial instability Sip2dial constantly offer quality administrations and items at an appropriate cost. When you have to send short and accurate messages to clients, accomplices, or representatives, Sip2dial offers you best text messaging software that speaks to a savvy, effective and secure approach to convey. Being one of the main IVR suppliers, Our IVR servers with IVR devices and voice systems reliably give high and perfect execution to the customer without making any hassle. Notwithstanding whether you are having an essential voice dialog or encouraging a telephone call with various helpful applications, our voice response system offers customers the ability to achieve more. We offer best IVR system architecture and VOIP calling software that are transcendent in quality and are dependable for use in a direct cost. Unlike other cloud call center software providers in India, Sip2dial offers more features under a moderate budget. Sip2Dial provides Inbound, outbound, management and basic cloud-based call center software features that help small businesses to grow. With Sip2dial you do not need to purchase any costly equipment or invest over maintenance cost. It is cloud based so you can easily set it up and start your own call center. 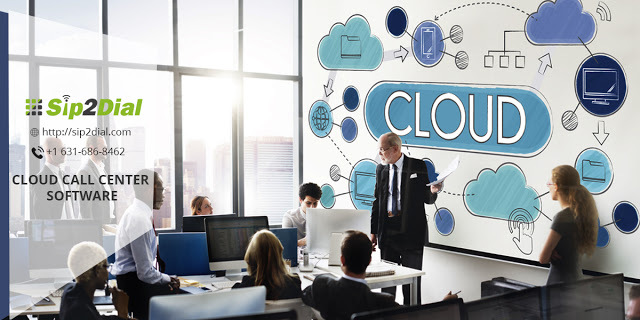 The cloud call center software of Sip2Dial is designed for small businesses which mean you can easily scale up and down as per your requirements. Hence the size of your call center does not matter at all. Thousands of small businesses use the cloud call center software of Sip2Dial. Therefore Sip2dial becomes a global cloud-based call center software. Sip2Dial is cloud-based call center software that is designed on the open source framework. Therefore you can easily customize its features to make your call center function as you wish. When you use Sip2Dial you will understand that Sip2Dial is the real software as a service(Saas). It is cloud-based, cost-effective and many small businesses use it across the globe. Previous Previous post: 5 Characteristics of VoIP services that can create a successful and hassle free business. Next Next post: How can AI (Artificial Intelligence) improve the performance of call center software?